I cannot believe that Valentine's Day is this weekend! This year, every holiday has been extra exciting with little Henley around. I can't wait to share with you her Valentine's outfit; it is so stinking cute! I know she's only ten months old, but she is my little love and since Brent works on Valentine's day, she is my little Valentine this year. 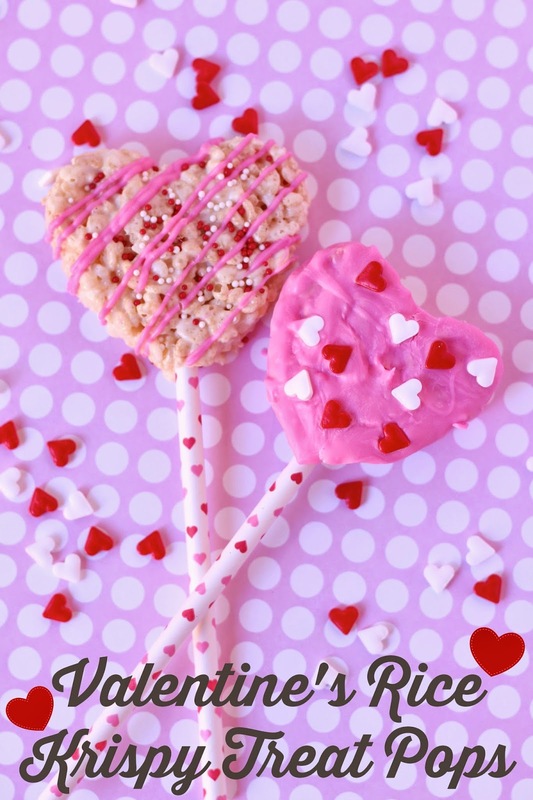 To get into the spirit, I made some Valentine's Rice Krispy Treat Pops today. 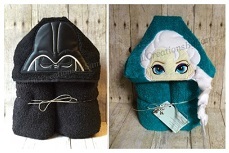 They are so easy and are sure to be a hit with the kiddos (and kids at heart). In a large saucepan, melt the butter over low heat. Once melted, add in mini marshmallows and stir until well mixed and melted. Spoon into the pan and with wax paper, press and evenly distribute the Rice Krispies treats mixture in the pan. The wax paper keeps the treats from sticking to your fingers. Let the treats set and cool for 10 minutes, then use the cookie cutters to cut hearts out. 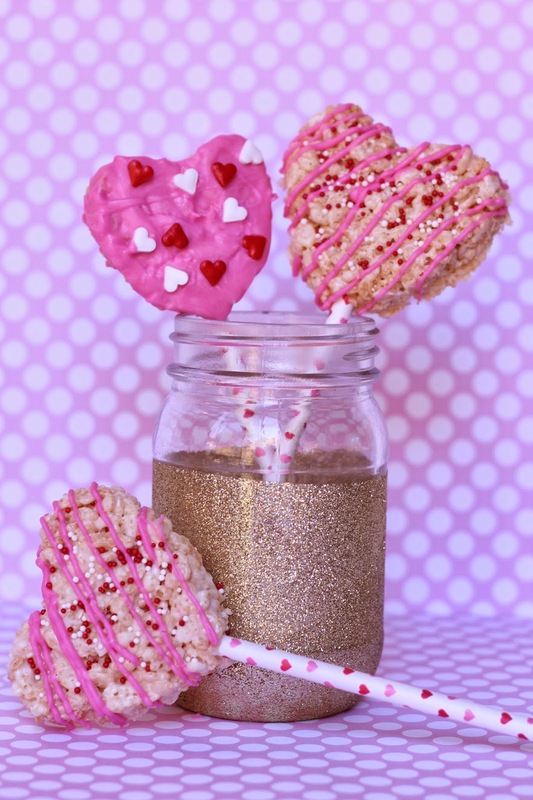 The treats should still be warm enough to combine scraps from the cut outs to make more heart shapes. Let the heart cut outs set another 10-15 minutes. Heat the Candy Melts according to package directions. Drizzle or spread onto the treats as desired. Quickly add the sprinkles before the drizzle hardens! 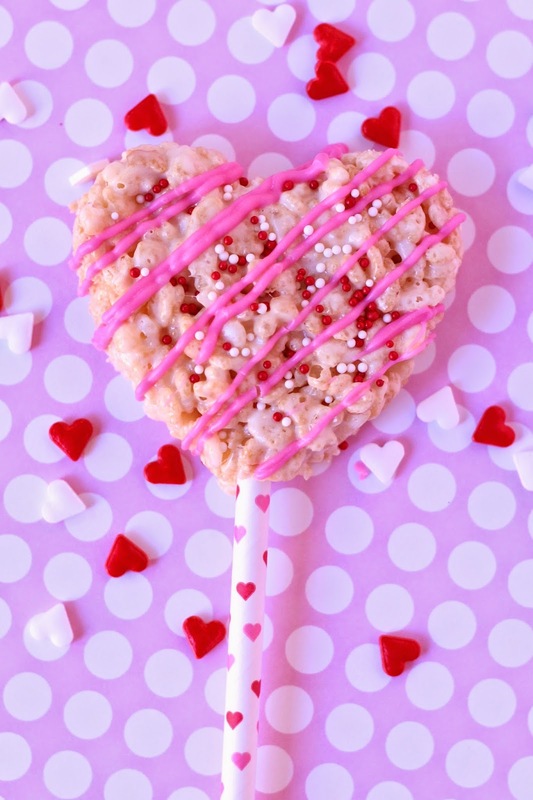 Once the melted chocolate hardens completely, insert the cake pop stick, and there you have i, Valentine's Rice Krispie Treat Pops!